Temporomandibular joint disorder, commonly referred to by the acronyms TMJ, TMJD, or TMD, is a condition that affects the temporomandibular joint, jaw muscles, and nerves on either one or both sides of the head. 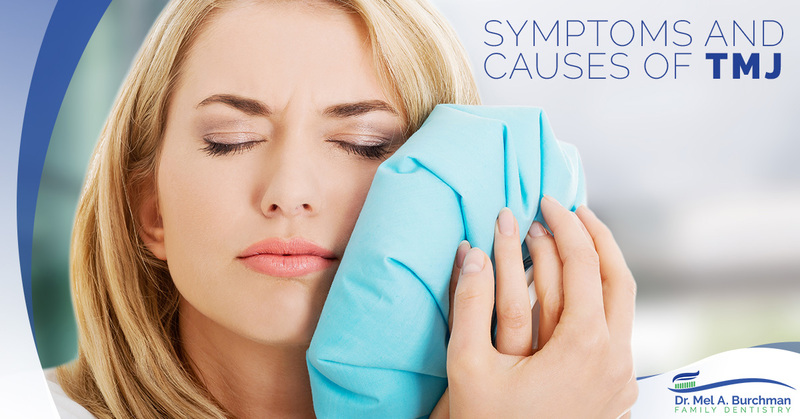 People suffering from TMJ can experience a variety of symptoms that may last for many years. Today, we’re going to take a look at the symptoms of TMJ and what can cause it to happen. If you recognize any of these symptoms, call Dr. Burchman in Langhorne to schedule an appointment and begin treatment. While there are many different symptoms that point to TMJ, how severe they are and how much they affect someone will often change from person to person. Typically, someone experiencing consistent pain in their jaw, sometimes accompanied by issues with jaw function, will cause someone to seek medical help. As one of the most complex joints in our bodies, the temporomandibular joint has many pieces that are involved in its functions, including several muscles, ligaments, and bones. The TM joint itself is made up of a disc between a ball and socket, and that disc absorbs and cushions the forces on the joint, which allows the jaw to move and function as intended. When a condition prevents these pieces from working as they should, a disorder can develop. Many people might think that clicking or popping noises in their jaw are a clear sign of TMJ, but unless it is accompanied by other symptoms, it is likely normal and nothing to worry about. However, if it is happening alongside severe pain lasting more than a few weeks, it’s time to see your dentist. The Academy of General Dentistry (AGD) state that trauma to the jaw or jaw joint — such as some sort of injury to the head, face, or neck — can sometimes cause the development of TMJ, though this is not always the case. In many situations, there isn’t an easy answer for what causes TMJ disorder. Most commonly, some sort of bite problem in the jaw itself is the biggest contributing factor to TMJD. If the structure of individual teeth is interfered with, it can cause the lower jaw to be displaced. When this happens, the muscles reposition the jaw joints out of their sockets, in an attempt to make the upper and lower teeth fit together. 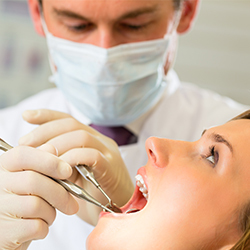 Other possible causes include aging, teeth grinding and clenching (bruxism), or parafunction resulting in uneven surfaces on the teeth, which interferes with the bite and results in improper jaw closure. If you recognize any of the symptoms listed above and have been experiencing them for weeks on end, you don’t need to put up with the pain and frustration of TMJ. It’s important to have it treated as soon as possible to avoid permanent damage to your jaw bones, joints, and muscles. For patients in the Langhorne area, Dr. Burchman is here to help with your treatment. 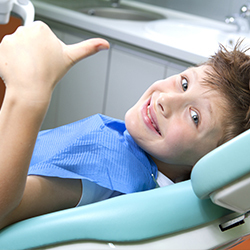 Whether you are suffering with TMJ, are looking for cosmetic dentistry, or just need a new general dentist, the experienced, knowledgeable, and friendly team at Dr. High Tech is here to help. Call us today to schedule your appointment.